The Last Quarter Moon is Saturday November 15. 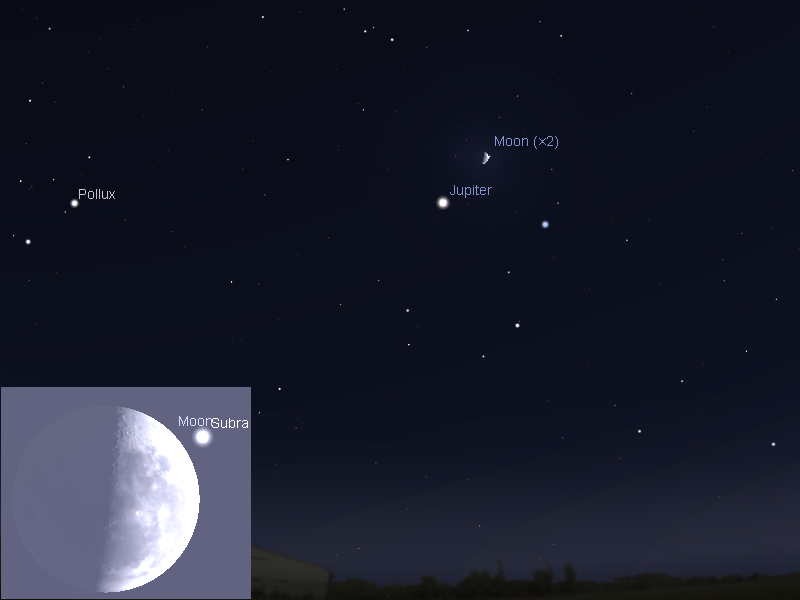 Southern and Western Australia will see the Last Quarter Moon occult the bright star Subra on the morning of the 15th, with Jupiter close by. 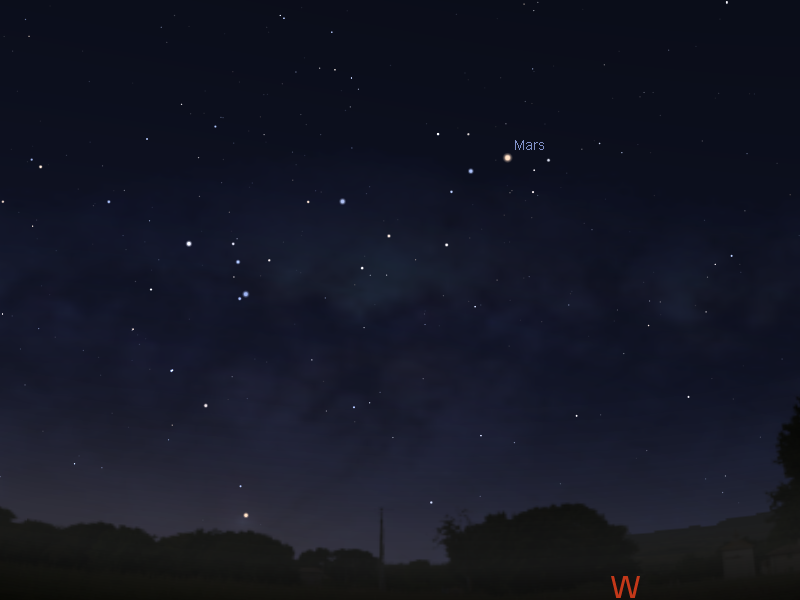 Mars is easily visible in the early evening. Jupiter is prominent in the morning sky. Comet C/2102 K1 PanSTARRS is visible in binoculars in the early evening. Leonid meteor shower on the morning of the 18th. The Last Quarter Moon is Saturday November 15. The Moon is at apogee, its furthest from the Earth, at this time. Evening sky on Saturday November 15 looking west as seen from Adelaide at 21:00 (9:00 pm) ACDST in South Australia. Similar views will be seen elsewhere at the equivalent local time (click to embiggen). Mars is still in the constellation of Sagittarius. At the beginning of the week Mars is close to the classic globular cluster M22. This will look rather nice in binoculars. As the week goes on Mars travels into less rich stellar fields, but is still nice in binoculars. Morning sky on Saturday November 15 looking north-east as seen from Adelaide at 5:00 am ACDST. Jupiter is above the north-east horizon. (click to embiggen). Jupiter rises higher in the morning twilight, and now is easy to see above the horizon before twilight. Jupiter is the brightest object above the north-eastern horizon. It is now not far from the bright star Regulus in the sickle of Leo (this forms the head of the constellation of the Lion). On November 15 the Last Quarter Moon is near Jupiter. At this time the Moon occults the star Subra. Subra (Omicron Leo) is a brightish white star visible to the unaided eye (magnitude 3.5). 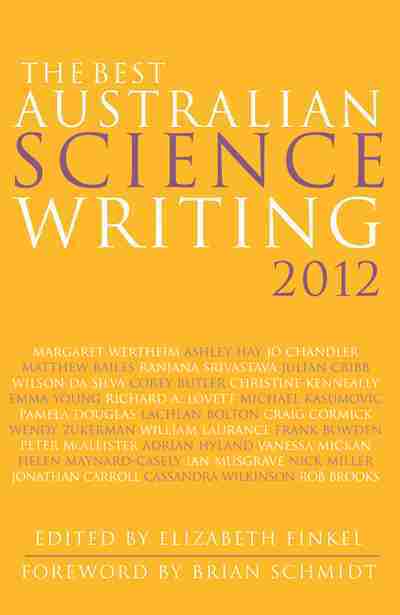 The occultation will be seen from Western Australia and Central Australia. From Perth the star disappears behind the bright limb of the Moon at 2:48 AWST, and reappears from the dark limb at 3:31 AWST. From Hobart the star disappears behind the bright limb of the Moon at 3:54 ACST, and reappears from the dark limb at 5:29 ACST (in twilight). From Adelaide the star disappears behind the bright limb at 5:58 ACDST, this is quite deep in the twilight and so will be a bit tricky to see. 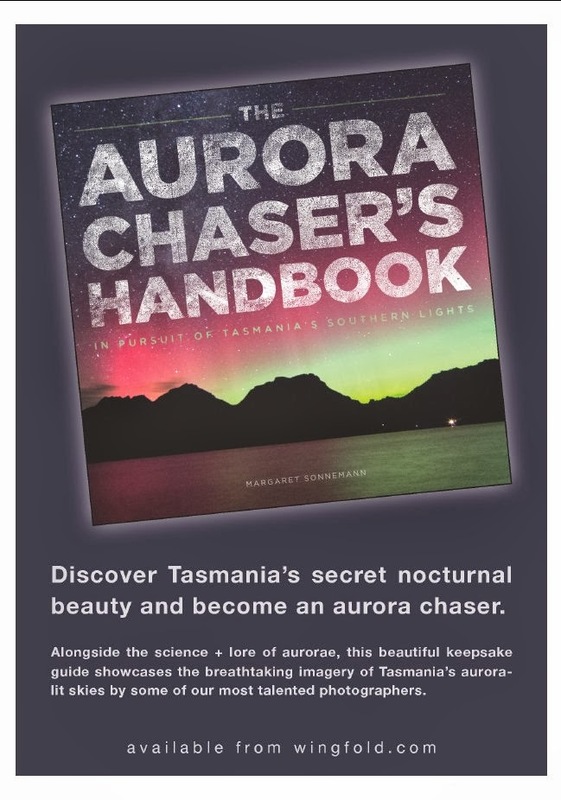 With the Moon at Last Quarter, this event is really best seen with binoculars or a small telescope (especially for the reappearance of the star in the twilight in Darwin and Adelaide). If you have a tripod or other stand for your binoculars, it will be much easier to observe. Set up about half an hour before the occultation to watch the star disappear (so you are not mucking around with equipment at the last moment). Evening sky on Saturday November 15 looking south as seen from Adelaide at 21:00 (9:00 pm) ACDST in South Australia. Comet C/2012 K1 PanSTARRS is above Canopus. Similar views will be seen elsewhere at the equivalent local time (click to embiggen). 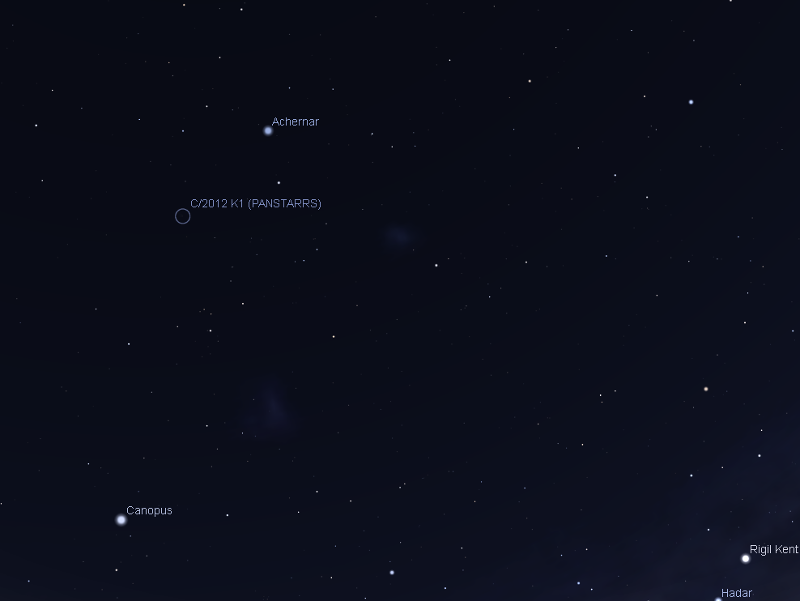 Comet C/2012 K1 PanSTARRS is now visible in the evening sky from around 8 pm. With the Moon gone from the evening sky, under reasonably dark sky conditions it should be visible in 10x50 binoculars as a fuzzy dot. At magnitude 7.5 you will need to let your eyes adapt to darkness to see the comet clearly. It doesn't have any spectacular encounters, but will look nice amongst the stars. On the 15th it is within binocular distance of the faint (magnitude 8.3) globular cluster NGC 1261. While the comet is fading, and becoming more difficult to see in binoculars, it remains very easily visible n small telescopes. 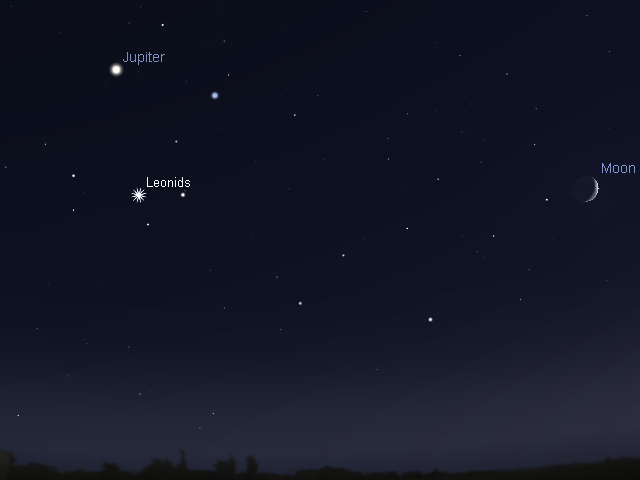 Morning sky looking north-east as seen from Adelaide at 5:00 am local daylight saving time on Tuesday November 18 showing Jupiter near Regulus and the Moon nearby, with the Leonid Meteor shower radiant indicated with a starburst. Similar views will be seen elsewhere at the equivalent local time. Click to embiggen. On the morning of Tuesday November 18 the Leonid Meteor shower peaks (from the point of view of Australians, that's 17 November UT), with the best time being between 3-4 am. While the Leonids radiant is reasonably far from the crescent Moon, this is a bad Leonid year. Very few meteors will be visible (maybe one per hour). You can use the Meteor Flux Estimator to get a prediction for your location. Use the 13 Leonids option and don't forget to set the year to 2014.